Sherlock Holmes is one of the most recognizable characters in Western literature. Conan Doyle’s inimitable detective has been the subject of literally thousands of books, movies, television shows, plays and even songs. With the rise of the BBC series and the release of all copyrights, the beloved character has found a new life among modern audiences. 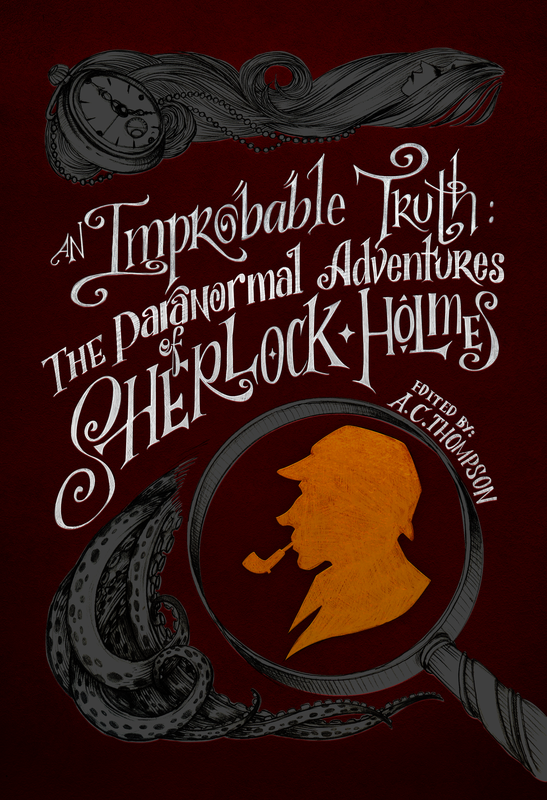 In An Improbable Truth: The Paranormal Adventures of Sherlock Holmes, 14 authors of horror and mystery have come together to create a unique anthology that sets Holmes on some of his most terrifying adventures. A pair of sisters willing to sacrifice young girls to an ancient demon for a taste of success, a sinister device that can manipulate time itself, and a madman that can raise corpses from the dead are just a few among the grisly tales that can be found within these pages. Curl up with a warm cuppa and leave all the lights on. This is not your grandfather’s Sherlock Holmes. Look at this list of stories! Doesn’t it sound fantastic?